Hasuan Viera went 3 for 4 with a key two-run double and the Indians (3-7) beat the visiting Canadians (3-7). The big play: Hasuan’s two-run double in the second inning, after Francisco Ventura struck out for the second out of the inning, ended up the difference-maker. The Good: Nordlin. Sure, he gave up a few runs. But those came in the single-serving variety instead of the multi-pack. Eight strikeouts have a way of killing rallies. The Bad: No. 3 hitter Miguel Aparicio with a rare off day: 0 for 4 with two strikeouts. The Ugly: J.P. Martinez started day the 4 for 29 and didn’t help himself, going 0 for 3 (.125/.317/.250) with another two Ks. That’s 10 strikeouts in 33 PAs this season, making for a slow short-A start for Texas Rangers’ No. 3 prospect. To his credit, he’s walked nine times and has three extra-base hits. Holmberg will give the speedy Martinez a day off on Monday. “He just needs to catch his breath,” Holmberg said. “He’s a good hitter. His timing’s there. Maybe the pitch selection will improve. It will. Holmberg thinks that Martinez isn’t too far off with his swing. The Takeaway: Nordlin really showed good command and awareness with his breaking ball. It’s a talent that some guys take a lifetime to master. If he can keep hitters from sitting on his fastball he should be all that more competitive. 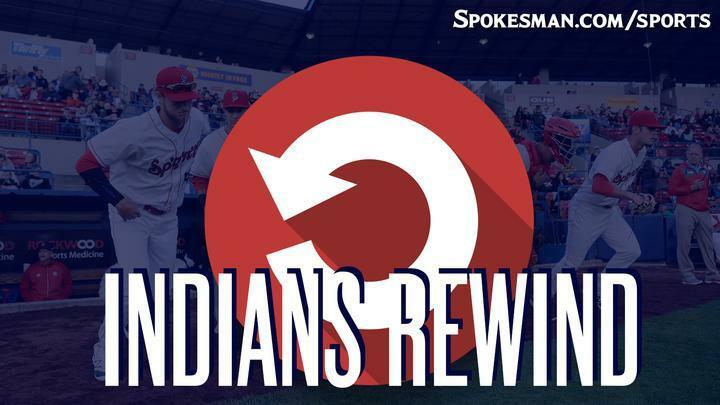 Next Game: Indians vs. Vancouver on Monday at 6:30 p.m. at Avista Stadium. Published: June 25, 2018, 11:55 p.m.